Peter Adams-Shawn doesn’t like to call himself an artist. Not even a professional. Still he managed to leave many professionals flabbergasted, even reeling in disbelief. 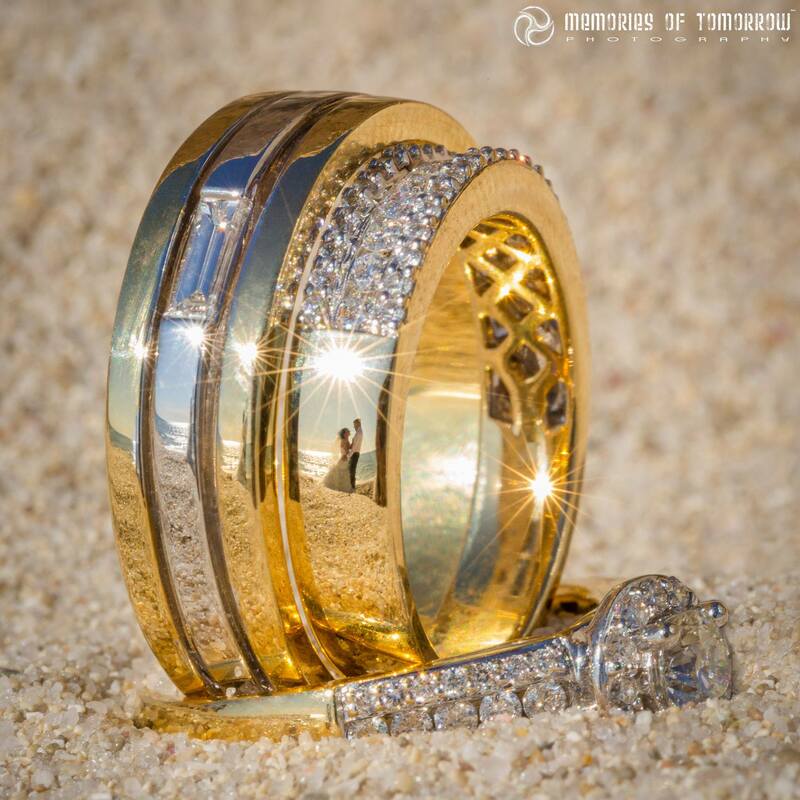 It started in 2003, when Adams-Shawn met Italian wedding photographer Edoardo Agresti. A passion got kindled right then and there. “After meeting him I decided I wanted to be a photographer and went out and bought a DSLR,” he said during our Facebook interview. It was exactly the time when Canon released its first semi-professional digital camera, D300, the Digital Rebel. “When the lens came off it I thought I’d broken it. … That is how little I knew about them,” he said. Then a textbook story ensued: He went around shooting friends’ weddings for free until he felt he could ask to get paid for it. But in 2011, by no design of his own, he ventured on a path leading to the heights of acclaim. 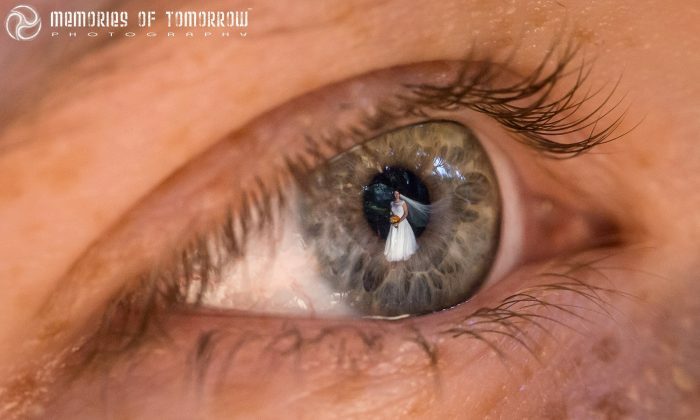 While shooting a wedding, he noticed a reflection in the eye of a flower girl. 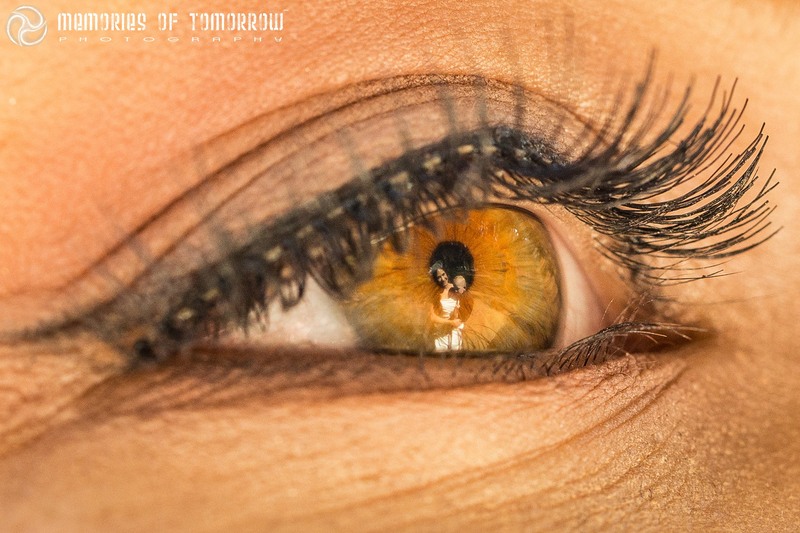 He had his macro lens ready, able to capture close-up details, and he just took the shot. 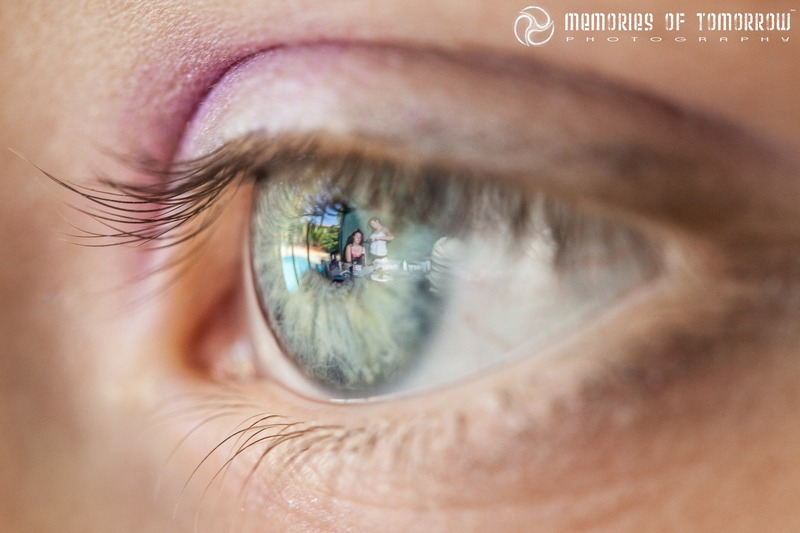 It took him another three years to capture another eye reflection. But this time, it was different. “[S]omething clicked then as to how I could take them,” Adams-Shawn said. And he has been doing it ever since. 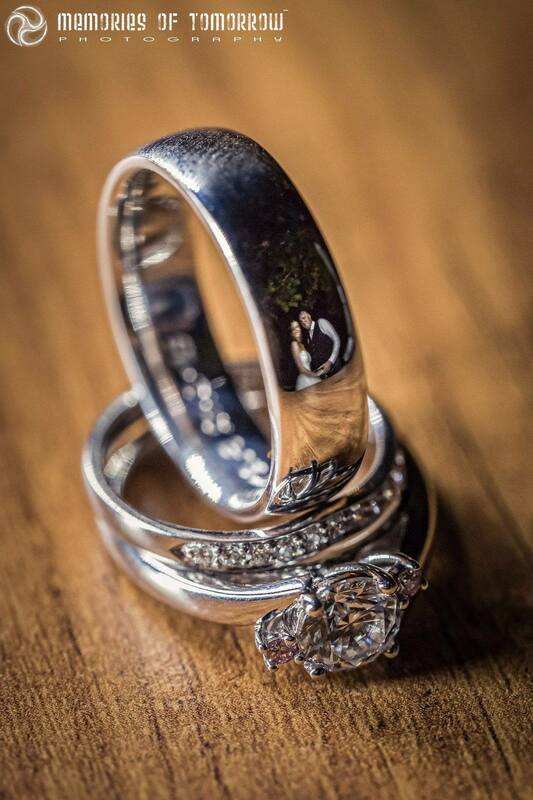 Since 2012 he’s also added ring reflections to the mix. The only challenges are “blinking and not getting in the reflections myself,” as he put it. But make no mistake—capturing the reflection is just the first step. 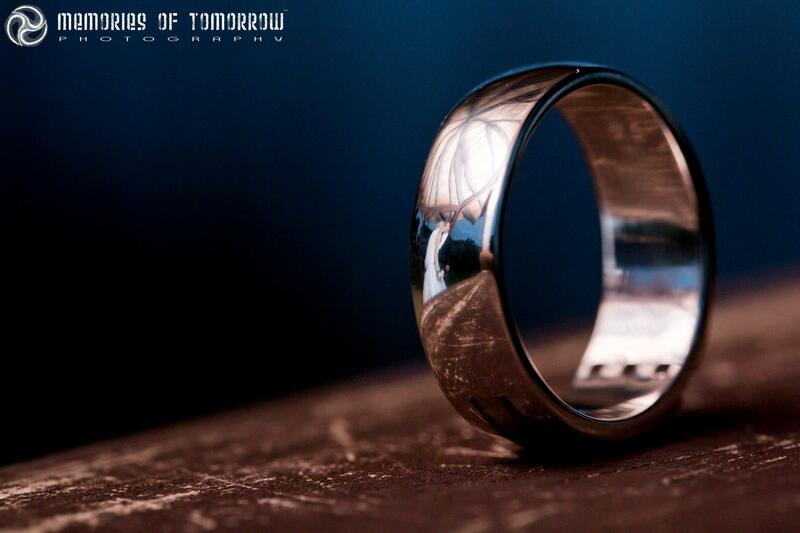 The ring reflections are harder. Not only does he need to position and balance the actual rings, but curvature of the jewels makes it more challenging to use them as mirrors. Sometimes, he said, it’s just not possible. He also tries to stay ahead of the curve and think up something different every time. “I figure at some point standard reflections in rings will be a lot more common … so I need to push things even further,” he said. As for the gear, so far Adams-Shawn took all these unique shots with professional-grade Canon 5D Mk. III camera with Canon 100mm F2.8 L Macro lens. He just started experimenting with the Sony A7RII camera also with the Canon 100mm F2.8 L Macro lens to increase the resolution. Having encountered skepticism before, Adams-Shawn provided me with extensive evidence that his photos are actual, real reflections and not photoshopped from multiple images. You can see for yourself on his Facebook page and his website. “I’m not really sure how they could have been any more realistic,” he wrote, adding a smiley face.